I have extremely sensitive ears that usually can’t handle earrings less than gold-filled. I love the cheap fashion earrings from Forever 21 and local stores as much as the next girl, but my ears usually won’t tolerate those earrings for more than a few hours. They become irritated and itchy and that is just unacceptable. Recently, I have been searching for cute, affordable earrings that won’t irritate my ears. I mostly search on Etsy, but cute gold-filled post earrings are not easy to find. Some had gold-filled posts but not backs or vice-versa. Some are too expensive for my liking. I want to change my earrings up a bit, you know. I can’t get stuck with an expensive pair I have to wear year after year. Then I thought, why not make my own? A friend of mine had mentioned that fusionbeads offers free delivery for US orders with no minimum. I snooped around the site and added a few items to my cart. I have never shopped here before, so I was very picky (aka cheap) about my order. The post pins and backs are both gold-filled so they will not bother my oh-so-sensitive ears. As for the body of the earring, I chose a gold-plated design to cut the cost. I figure it would not come in contact with my pierced ear much with the flat pin in the way and all. It totals up to $5.92. Now all I have to do is use the glue gun to put it all together. I may look around at other websites for other designs for my custom earrings. I could even use a few old buttons. My options are nearly unlimited at this point. I am super excited and will keep you updated once I make my earrings. In the US, the gold content in any gold-filled jewelry must be at least 1/20 the weight of the total item. 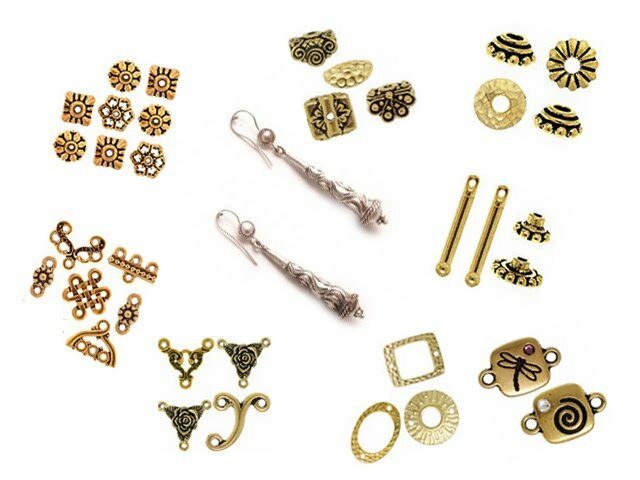 For items labeled gold plated, the item is plated in gold without a limit to the thickness or thinness of the gold plating. Needless to say, gold-filled jewelry will last much longer than gold plated ones. I make jewelry myself too! Rachel, if I can do it, I am sure most people can do it too. Anon, that is what is promised. Leslie, that is a good idea. I can replace my old earring backs with gold ones. I have to see if these are gold filled as they are claimed to be. Just to be sure, order little the first time around. Sally, they also accept Paypal. You would need a credit card otherwise. so even if I only order something that is 50 cents the delivery is free? That is such a great idea. I am looking at that website right now. I will try to make my own jewelry instead of buying next time. Just to see. It may not work out for me, but I'll give it a try. 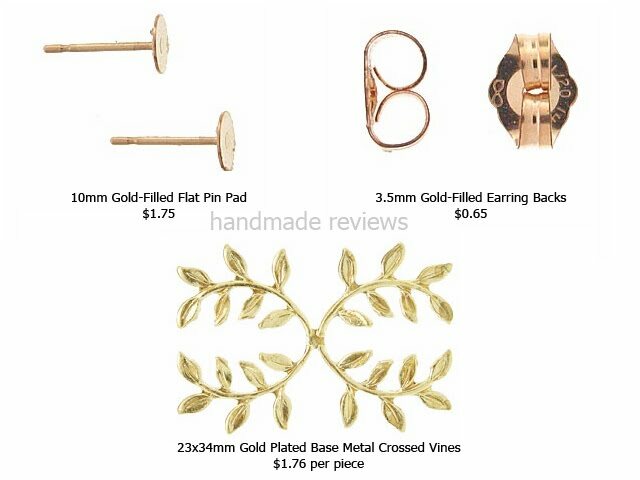 Handmade Gold-Filled Earrings is a beautiful topic earrings gold handmade jewelry debate for Apr 2019. I read Breaking Up with T-Mobile: A USCC Love Story .